A playful doughnut making. The sfinge (svinge) you coat with regular sugar granules for a different taste and texture. Truth to be told, although I had all these recipes printed, cookbooks and baking books open all strewn in my kitchen and dining room, in reality at most I will try this season maybe one or two of these fried temptations. The Sufganiyot being the second. In anticipation of Chanuka, I made a couple of weeks ago, no yeast pear fritters with lemon and ginger you can find here, a perfect twist to jazz up the holiday. Speaking of fried, intially I saw this baked Israeli doughnut recipe by Ruth Oliver. My eyes sparked, yes can't avoid the carbs but make it low fat. I also started with one recipe and accidently continued with a list of ingredients from another, which at this point affected the amount of sugar. Ruth Oliver's original recipe asked for 1/2 cup sugar and I put in 3/4. Then as the dough is kneaded in the mixer I noticed it's coming together nicely but something was missing that shine of elasticity, sure enough I forgot the shortening. I added it. Sure a recipe for disaster isn't it?! Wait, the comedy of errors is not over, finally I realized I forgot the egg, the dough was already gorgeous, so I broke it with a spatula and added about 4 tablespoons of flour to blend the egg in. Believe me it was a challenge. If you look at the first pic, you wouldn't know, youwouldn't guess, what this sufgniya, the little engine that could, have been through, but it did rise and it was a miracle indeed. When I tasted bits of dough and saw how beautifully they've risen, all bets were off, I was not about to bake entire batch but baked four and fried the rest. Baked doughnuts came out gorgeous, the sufganiyot were perfectly puffed and round, the webbing inside and consistency you could not wish for any better but they tasted like bread, not a sufganiya, so why to bother?! I am happy I did adjust in the spur of the moment and decided to fry. It was very rewarding as you can see from the pics and I can attest to the taste. Domenica Marchetti's Big Night In Giveaway is still going on. Please click here to enter. 1. Mix all dough ingredients in a mixer with a hook attachment and knead in mixer for about 10 minutes until a dough is formed and smooth. Form into a smooth round, cover with a kitchen towel and let rise for half an hour or until dough doubles in size. I set it up on top of unheated stove top, when oven underneath was heated at 350F to create the perfect environment for the dough to rise. 2. Knead the dough a bit after doubling its size and roll dough with a rolling pin into 2cm/about .8 inches thickness. 3. Using a 2 inch round cutters form round doughnuts from dough and place on a parchment paper lined baking sheet. You can also shape them by hand to size desired and you won't have scraps left over. Note: Flouring surfaces prior to rolling out and flouring parchment paper is suggested in many other recipes. It makes it easier to work with the dough, although I did not flour at all. 4. Cover dough rounds with a kitchen towel and let it rise for another 1/2 hour in a warm place. See suggestion in first step of directions. 5. Oil should be at 350F for frying with a flat spatula to transfer doughnuts to a 2-3 inch deep oil in a fryer or a pot. Fry on one side until golden then flip and fry until golden brown on flipped side. Remove from oil with a slotted flat spatula into a paper tower lined dish. 7. Let it cool. Fill a piping bag with jam and fill inside of the doughnut. 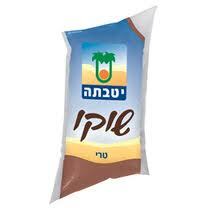 In Israel we used to fill it with a (clean, of course) syringe. Dust with powdered sugar and serve!! *Note: If environment is not a ideal, rising can take up to two hours. Thanks for the shoutout! Those doughnuts look beautiful! I have to try filled doughnuts one of these days. Shulie, Shulie, Shulie - girl, this has my name all over it. Jelly doughnuts, holiday or not, are a favorite - anything filled!! I don't really make doughnuts at home but could be persuaded with these. Shulie, gorgeous & delicious looking doughnuts! Lovely pictures & wishing you and your family Happy Hanukkah! Thanks Rachel and Satrupa they are delicious! Megan, Thx and my pleasure! You should definitely make some jelly doughnuts!! Debra, thanks and lol and to thinkI wanted to bake these first! Phew for last minute change of plans. Sara, Thank you for the compliments and the Chanukah wishes! Oh wow, LOVE the recipe Shulie!! I'm definitely gonna try this recipe tomorrow n let u know how it came out. We have planned to celebrate all the festivals with the li'l one from this yr n that means celebrating with the traditional food which I'm comfortable to make. This one definitely falls under both of those categories! Now these are truly fabulous looking donuts. Thanks for sharing. Your Israeli filled doughnuts look pretty amazing Shulie! I'd like to have one right about now if you don't mind. Can I have one of those instead of my oatmeal this morning? The donuts sure looks fluffy! I am sure it taste good too. Happy Hanukah dear Shulie... I ♥ how delicious those donuts look! YUM! Thanks Prerna, that is so wonderful to expose the li'i one to different cultures and traditions! Thanks Deeba dearest! They were good though it would have been wonderful to share them with you!! Happy Hanukkah, Shulie! It's no secret I'm a catholic girl who has great fondness for Hanukkah. The ritual of lighting candles with loved ones is warm and connecting. The candles remind me to stay open to others. The donuts look so light and fluffy, just the way I like them! I started running again, so I have no guilt eating them whatsoever =). My daughters want to try making doughnuts this year; however, I'm not sure I'm ready to let my 7 year old fry... wish me luck. The Rabbi is coming over for dinner on Sunday! Shabbat Shalom and Chag Hanukkah! Wow! I may need to add this to tonights menu! Lael, At 7 years old with such high aspiration of frying and making doughnuts? Maybe a chef in the making your kids? I won't be surprised with all the culinary talent in your family!! How was dinner with the Rabbi? Chag Chanukah Shameach to you too! Alison, thanks! Let me know if you have added it and how did they come out? Happy Chanukah! Pepy, Thanks! yup, heating up the oven might help I know it was probably not as chilly as up there where you are but chilly enough for us and I heated up the oven for these sufganiyot. Thanks Kulsum. It is just temporary, sometimes I go weeks with zip:). Thanks for the Chanukah wishes. Let me know if you end up making them. I have some homemade jam from this summer's binge on jam making. These look so yummy! I'm definitely looking forward to making them. Is the strawberry jam mandatory? It's one of my favourites (and my family) which means it was the first to disappear, I'll most likely be using grape. Happy Hanukkah and I've never made these beauties but I love them! Yours are perfect! These look fantastic! Happy Hanukkah and thanks for sharing this post. Thanks Kathy!! My pleasure! Happy you liked it! yum yum! I came across this kind of donut before!! Absolutely gorgeous! I don't fry often (such a mess!) but for these I would definitely suffer through the cleaning. I love the surprise inside! Oh I've had so many of those moments when I kept forgetting things and changing course midway! Glad they worked out so beautifully in the end. Aww happy you came across such doughnuts Anh. They are my favorite but I learned unfortunately to appreciate others as well. At least for me it is seasonal just around December and then I make my New Year's resolution.& Krista, yes the cleaning. I always pour the oil in an empty plastic bottle so I can take it for recycling so it can be used for fuel. In fact I got one sitting on my back porch. Got to do it been there too long. Yep Maria love the oozing jam. Thx Sylvie, that was kind border line risky. Dough can be so fussy! :) Thx Alison and aww Mazal Tov what a special occasion. I wish I were nearby I would def. make it for this super happy event. Again, congrats!